"Pitt-Rivers’ writings have a supple and subtle quality of style and argument, the flow of a fine essay. He draws the reader, only seemingly easily for these papers are cleverly and tightly argued, into wide-ranging reflections on founding patterns and structures, codes, customs and practices that he suggests should frame our understanding of major topics and fields for inquiry such as kinship, hospitality, honour and sacrifice. He moves across ethnographic and historical domains, classical and biblical sources with remarkable scholarship and a capacity for creative speculation. Like Georg Simmel, he opens our minds to thought and to rethinking with grace and economy." "Despite his passion for promoting the anthropological study of the Mediterranean, [Pitt-Rivers’] stage was not the narrow one of “area studies” alone; he had much broader goals. The Zeitgeist of his era did not make it easy for a Europeanist to break into the Africanist-dominated world of British anthropological theory-making, even if that was the tradition in which he had been trained. But no man of honor (for it is clear that in much of his analysis he is musing on his own values and predilections) would have refused the challenge. . . . Far from being an antiquarian curiosity, as its period-specific style might initially suggest, his work is resonant with implications for the anthropology we practice today. . . . This collection is indeed an act of grace." 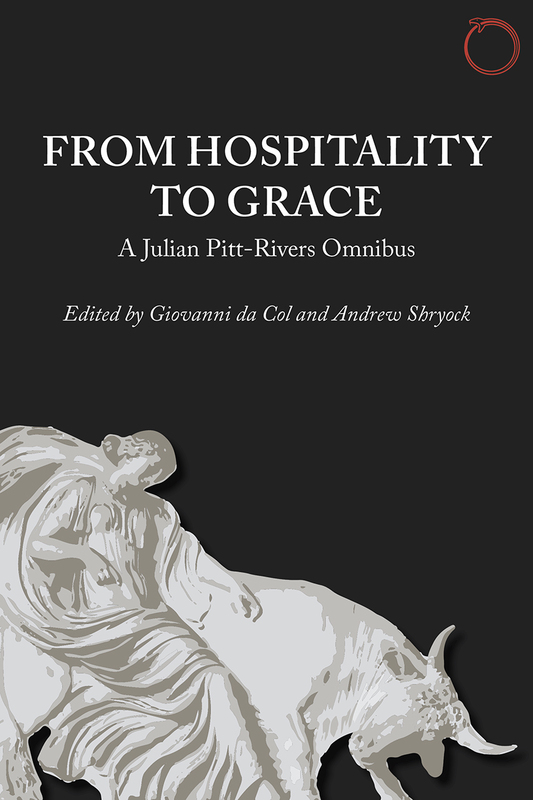 "This omnibus collection of the writings of Julian Pitt-Rivers is not only welcome but also timely. An avid student of Mediterranean and European history, and an anthropologist often cited for his classical accounts of Spanish culture and authoritative writings on honor, Pitt-Rivers retained a deep interest in what makes communities, despite differences and conflicts, cohere and endure through time. His insights regarding intimate social relations, the role of ritual in public life, and the dynamics of making credible moral claims, seem to me invaluable to an understanding of “community,” today."